Côte d’Ivoire has announced the creation of Africa’s first floating solar energy farm, as the western African country seeks to increase its production of renewable energy. The farm to cost €80 million will be funded largely by France’s development agency; Agence française de développement (AFD) and the Ivorian government, Jeune Afrique reported, quoting the Minister of Energy, Thierry Tanoh. 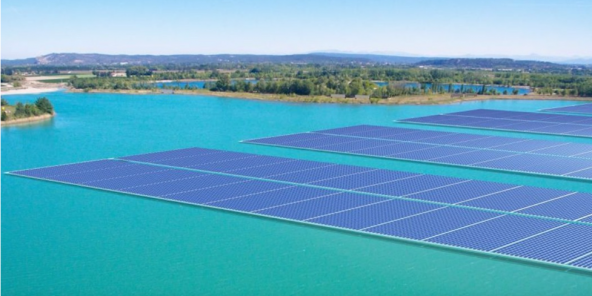 The official did not disclose details of the project but future solar energy farm will be installed on water bodies located in the country, and on the sea. The project comes as part of the partnership between the African country and AFD in the area of renewable energy. The powerhouse of francophone countries in West Africa is seeking to scale up its production of green energy by 11 per cent by 2020 and by 16 per cent by 2030. The African country’s current energy output is estimated at 2,200 megawatt. The government is targeting 4,000 megawatt by 2020 and 6,000 megawatt around 2030. Posted by Geraldine Boechat on December 7, 2018. Filed under News, Zoom. You can follow any responses to this entry through the RSS 2.0. Both comments and pings are currently closed.